The Halftone Photoshop Tint Pack was inspired by the beautifully irregular halftone screens from vintage posters, punk rock photocopies and comic books. If you’d like to give your print or web artwork some real texture, the Halftone Photoshop Tint Pack is just what the doctor ordered for artful, effortless, lush halftone tints. With the Halftone Photoshop Tint Pack, you’ll achieve gorgeous halftone tints … while working faster than ever. 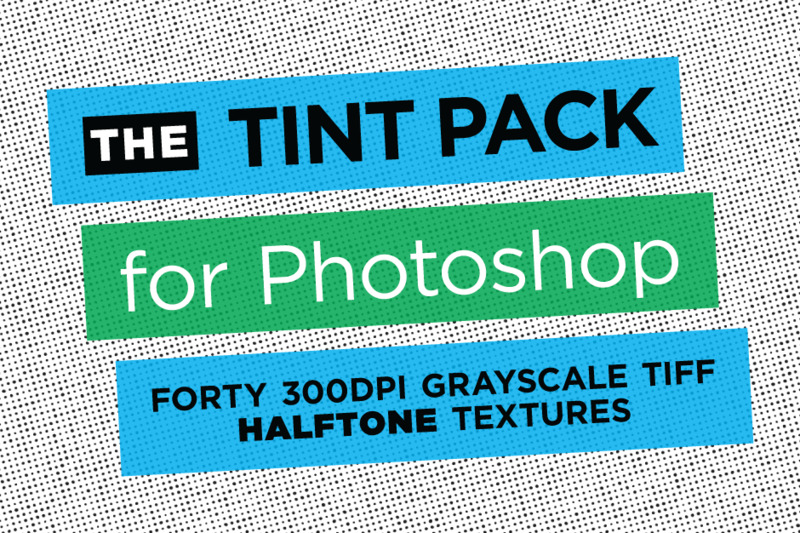 Based on the luscious dots in our Halftone Illustrator Tint Pack, these 40 grayscale TIFF files are a boon for artists that prefer to work in Photoshop. Weighing in at 12″x12″ (in full 300 DPI resolution!) of non-repeating tint, they’re even great for artists that prefer to work in large-format. And they’re pre-rotated to the most common screen rotations for efficiency! 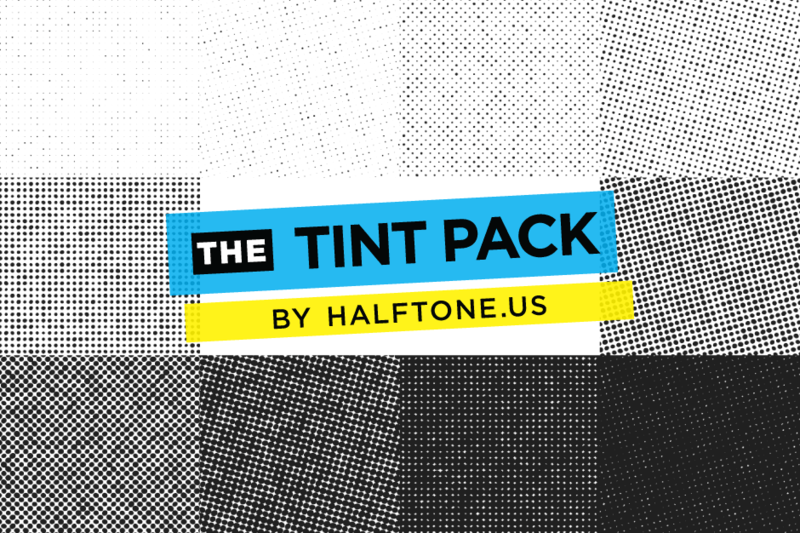 NOT a bunch of random grungy halftones — the Halftone Photoshop Tint Pack contains a full-range of tint patterns, from light to dark, in smooth 10% increments (plus a 5% tint). With just the right amount of variability in the size and shape of the dots to give your artwork a more organic look — you can almost smell the ink! Here’s a zoomed-in view of our tints. 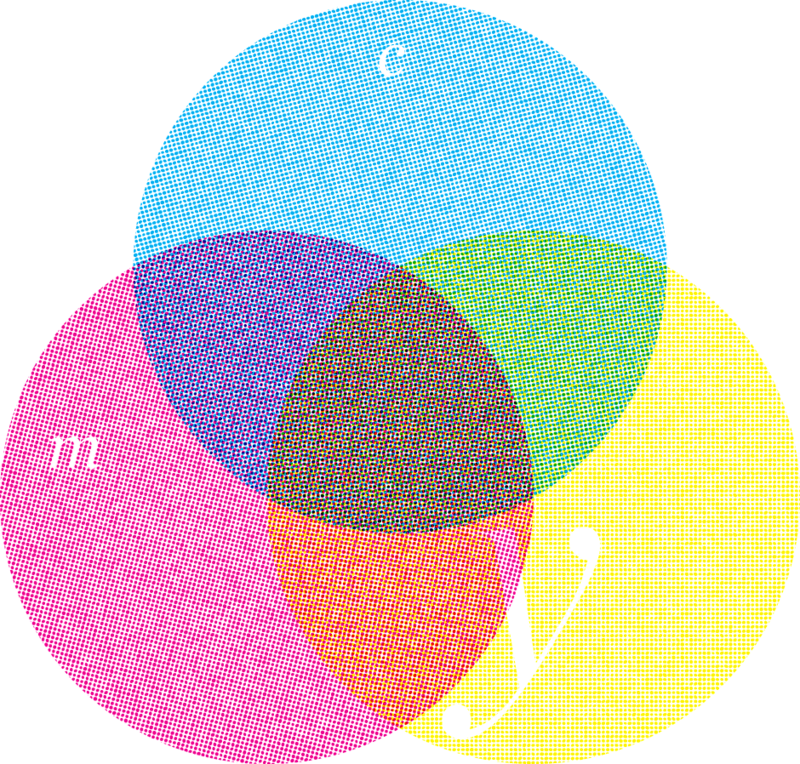 Note the variation in the size and shape of the dots. 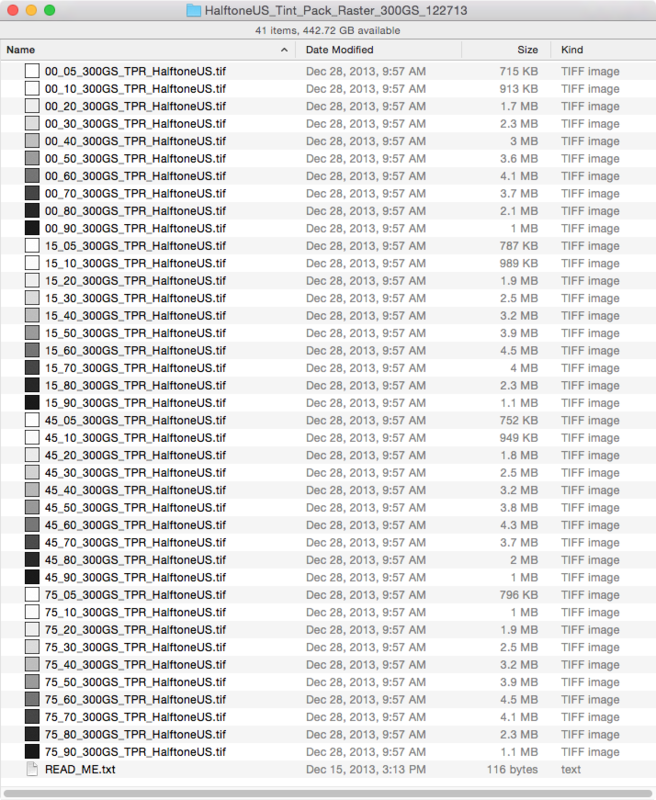 The Halftone Photoshop Tint Pack files are organized for efficient workflow, first by screen angle (0, 15, 45 & 75°) then light to dark (5%–90%).